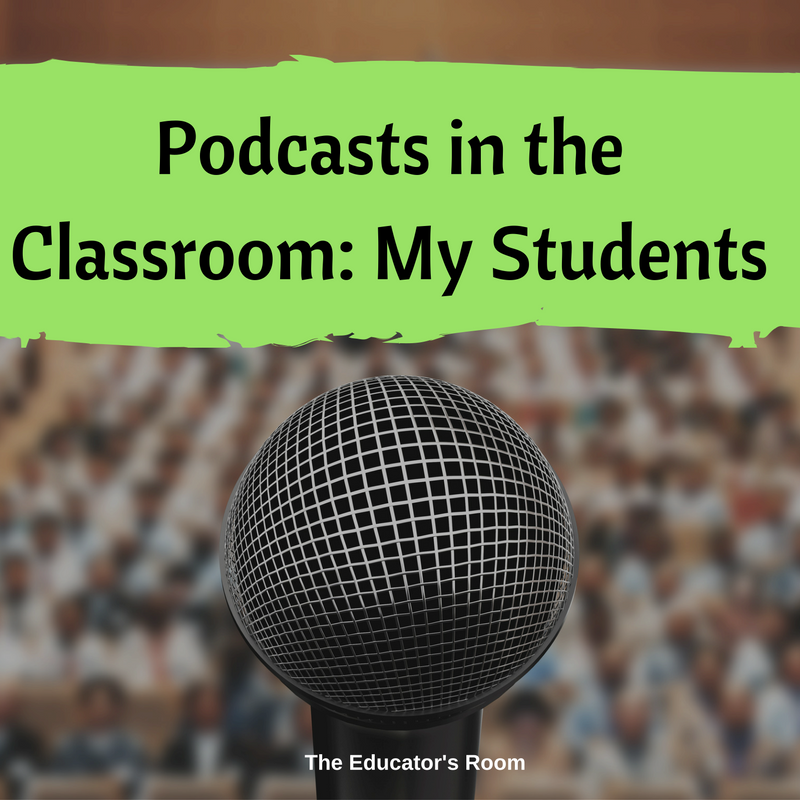 Author’s Note: This article is part 1 of using podcasts in the classroom and looks at my classes’ personal experiences with them. Part 2 of the article will focus on the benefits, uses, and tools of podcasts in the classroom. In Spring 2016, my co-taught World Literature class sat furiously writing. On each desk was a half sheet of paper with five questions. Every now and then, one or two students would start flipping through a transcript to find evidence that supported their answers. My co-teacher and I walked around the room and helped when we needed to, but there wasn’t much need. I remember feeling impressed because it was a Friday afternoon, and they were about to start a weeklong break. I was also in awe because I had students who refused to write before this assignment, and now they couldn’t put their pencils down. You may be asking: how did I get my students to write on a Friday before break? Well, they had just finished listening to podcast, specifically This American Life’s “Harper High Pts. 1 and 2” and needed to process the deep issues and themes the episode discussed (The episodes are about gun violence and its effect on the Chicago high school’s student body and faculty. It is a fantastic episode.) This was the third podcast they had listened to so far that semester, and I knew that I had struck gold. Podcasts were going to remain a part of my curriculum. One of my favorite episodes have been “Abdi and the Golden Ticket” from This American Life, which I use with our unit on Elie Wiesel’s Night. This episode look at the story of Abdi Noor, a Somali refugee living in Kenya, as he works to get his U.S. visa while troubles arise in Kenya. My students use this episode as part of our discussion on the Universal Declaration of Human Rights and modern issues that still affect people’s rights. It allows my students to make real world connections to the text they are reading. My students are hooked because the episode counts down day by day Abdi’s experiences as he tries to gather materials for his visa interview. Students bring this episode up in other lessons, which is always a good thing. A favorite of my students is our unit focusing on season 1 of Serial, which is about Adnan Syed, who was convicted of murdering his high school ex-girlfriend in 1999. As an educator, Mike Goodsey, points out- it is very Shakespearean. We treat this show as our extended text by listening to each episode and provide transcripts for those students who need visuals. My students take notes (“Detective Notes”) that they use to connect the stories, evidence, etc. to build their theories by the end of the show. I use many of the unit materials created by Mike Goodsey to help my students process the information. While studying this unit, my students practice text analyzation, collaboration, writing, speaking and listening, and critical thinking skills using new media. One of the favorite activities in the class is using their notes to find issues with the cell tower map and call log that was used in the case. Another favorite is finding the inconsistencies in the testimony of the state’s witness, Jay. I managed to get rooms full of 10th graders flip back through their notes and transcripts and debate each other. I stood back while my classes to developed their own podcast (Oatmeal) to broadcast their theories and proof about what actually happened in the case and was so proud as many of them produced high-quality work. (Hear episode 1 of Oatmeal here.) You can see some of the other activities my students have done with Serial in the last calendar year in my class Instagram. I love using podcasts and so do my students. They have made my classroom a little more interesting and allowed my students to practice the skills they need using a newer media. I see this growing my classroom as technology becomes more available to my students. Now that you know how I use podcasts, come back for part 2, which will focus on the possible tools and benefits for your classroom. If you have any questions, please feel free to contact me. You should do a conference session on Podcasts motivating students to passionately write. Love this.